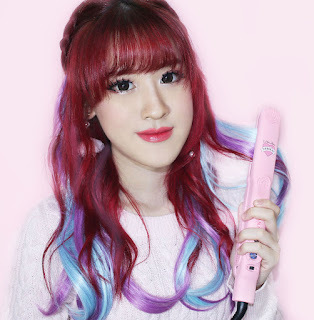 I was recently given the opportunity to review one of their products from Born Pretty Store. 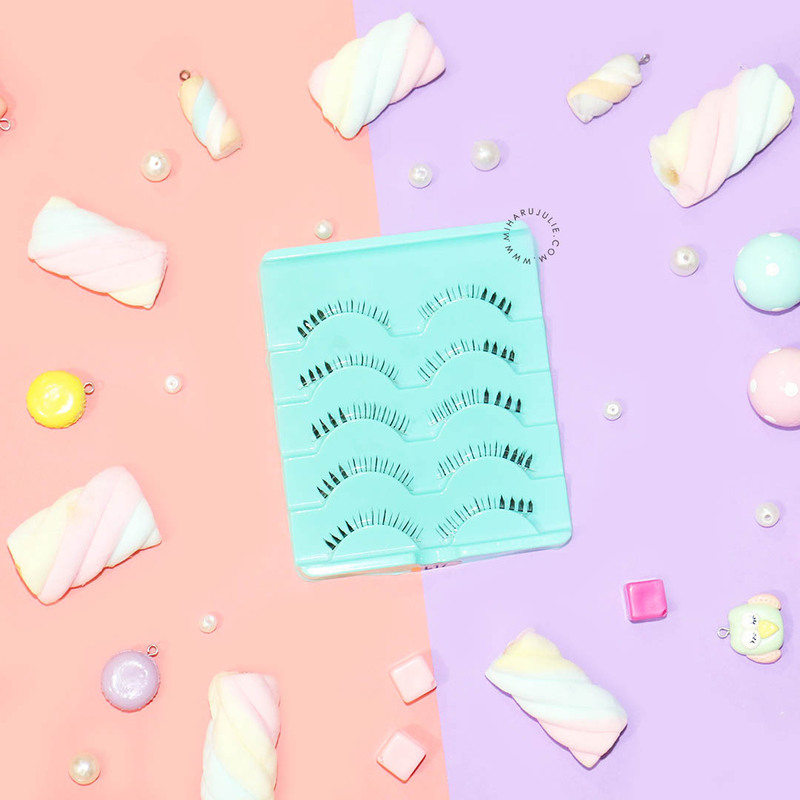 I'm sure many of you would've heard about BornPretty before - a trusted online store that sells a huge selection of super affordable cosmetics, makeup kits, tools, nail polish, nail art supplies, accessories and more! 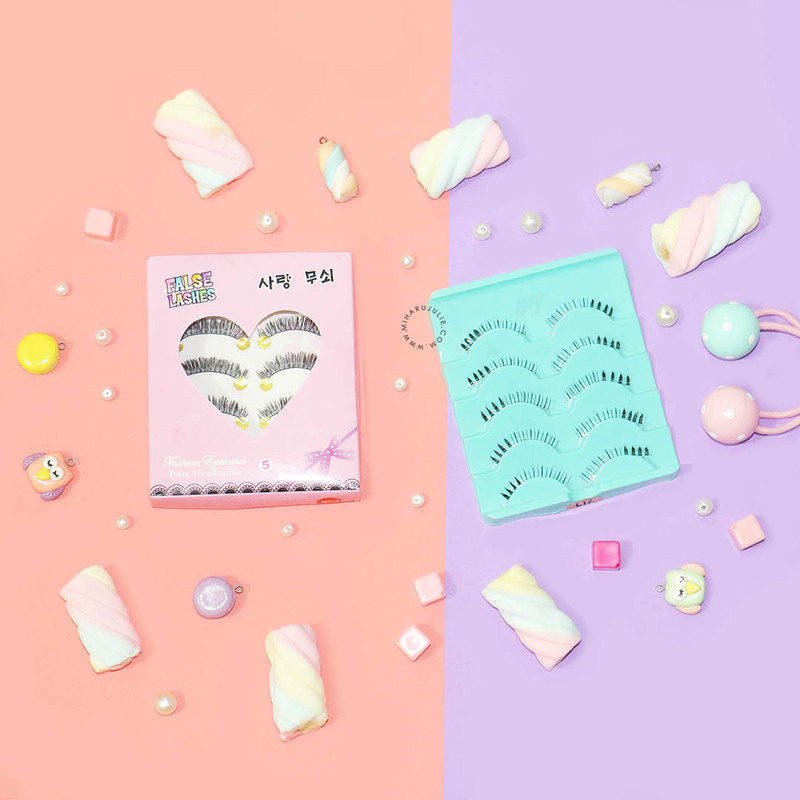 I ordered this False Eye Lashes Kit which consists of two set of False Eye Lashes (upper and lower lashes), each pack with 5 pair of lashes. The lashes are packaged in a filmsy cardboard box but as these are lashes they are not prone to any damage. 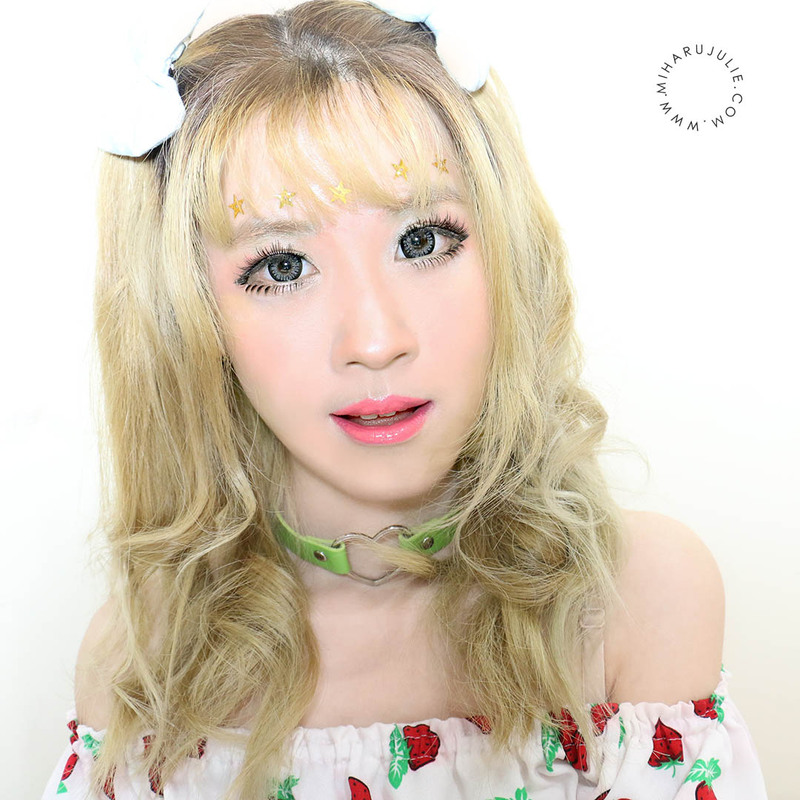 The set I'm reviewing today is "False Eyelash Thick Crisscross Natural Handmade Set-W04". I've tried many of the false lashes by this brand before, and they are so comfy as they are hand made. 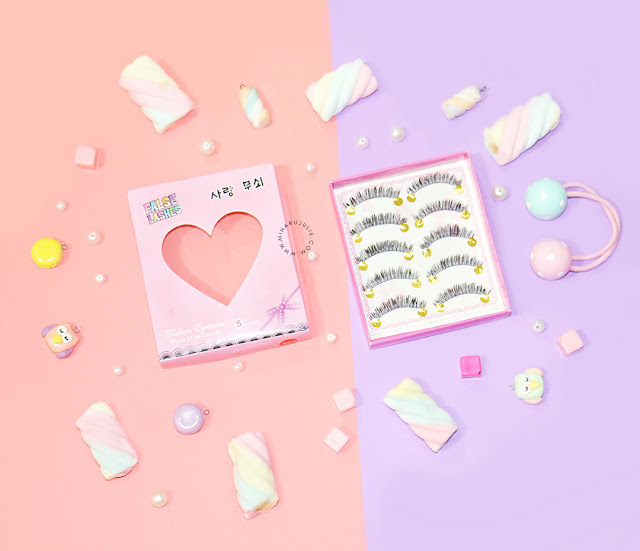 And super affordable too - this set sells for $4.31, and it's a set of 5 falsies! Such good value. The shape of these lashes make a fine choice if you're looking for the rounded, doll-like eye look. Since the lash hairs are longest in the center, that emphasizes the center of the eye and gives it that little extra lift. And while they do look somewhat thick, but doesn't heavy. To be honest I love this lower lashes design because it's look like a Dolly Wink lashes. They just look so feminine and pretty and I love how my eye makeup looks here. These were a bit long for my eye and they were poking me a bit, so I had to cut them. However, this is no big deal, as I have to do that with most lashes I end up buying anyways. 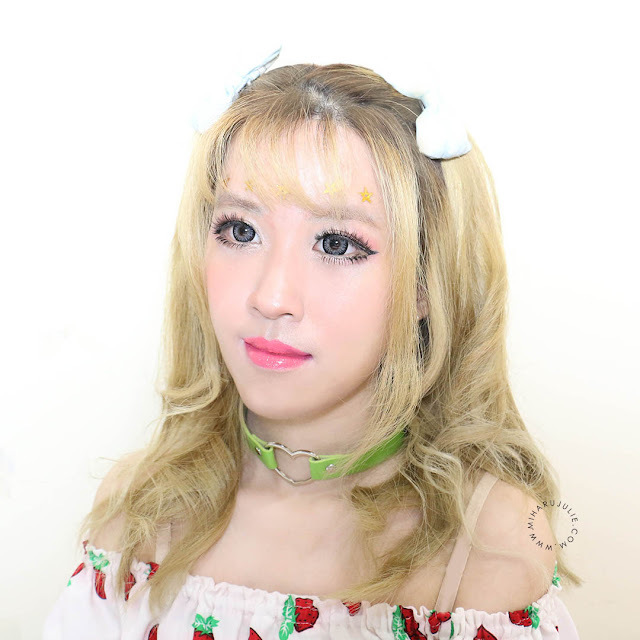 The last items from Born Pretty Store is "Leather Heart-shaped Collar Necklace Female Neckband Clavicle Short Necklace". The material is PU and Alloy. The Chain length is 39cm and width:1.7cm. There are available in 8 colors. I ordered blue color but I don't know why I received a green colors LOL..
Nice effect, I love the shade of blue it has, also perfect for cosplaying! aku suka bulu mata yang kedua ka..